Window Depot of Chattanooga not only knows window and door installation, but also offers professional vinyl siding installation in Chattanooga and surrounding areas. Since its introduction, vinyl quickly became one of the most preferred materials on the market for the exterior of homes. As part of our home improvement services, we are proud to carry low maintenance, easy to install siding. We want all of our siding customers to experience the superior performance and value of vinyl. Contact our experts at (423) 894-0011 for a free siding installation consultation today. Many Chattanooga homeowners fight hard year after year – spending hours, days, and even weeks re-painting or re-staining their home’s exterior to prevent a number of potential issues (rotting, peeling, and insect damage). What about those with homes clad in aluminum? Although once popular, aluminum bends and dents easily. This can give the home exterior an unsightly appearance. Why go through the hassle? We invite you to consider the freedom you’ll enjoy from having vinyl siding on your Chattanooga home. Vinyl is tough and durable, fade resistant, and easily washed and maintained. Instead of spending time on endless maintenance, you can relax and enjoy your favorite activities. Choosing to have a siding contractor replace your wood or aluminum siding may just be the best decision you make all year, and can increase the value of your home. Available Colors: We have many samples of vinyl in our showroom. We offer neutral shades such as white, gray, tan and mocha, as well as deeper shades in the palette such as greens, blues and reds. If your home’s exterior is partially another material such as brick or stone, we can help you choose a coordinating color that fully complements its façade. Vinyl Siding Repair: Our professionals have the skills and expertise necessary to accomplish any repairs that you may need. If your home has lost vinyl due to a storm or other damage, call Window Depot of Chattanooga for an estimate. We can easily find a suitable color to match your existing look. Window Depot of Chattanooga offers many home improvement services in Chattanooga and surrounding areas. 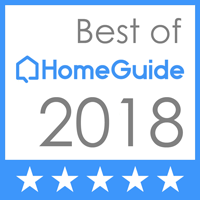 Whether you need roofing installation and repair, garage door installation, window replacement, soffit repair, or gutter repair services, our expert Tennessee contractors will meet your needs; just take a look at our client reviews. Contact us at (423) 894-0011 today for information on prices and a free quote for your siding installation project.